Effortless and festive, this button-up top features metallic gold accents. Effortless and festive, this button-up top features metallic gold accents. 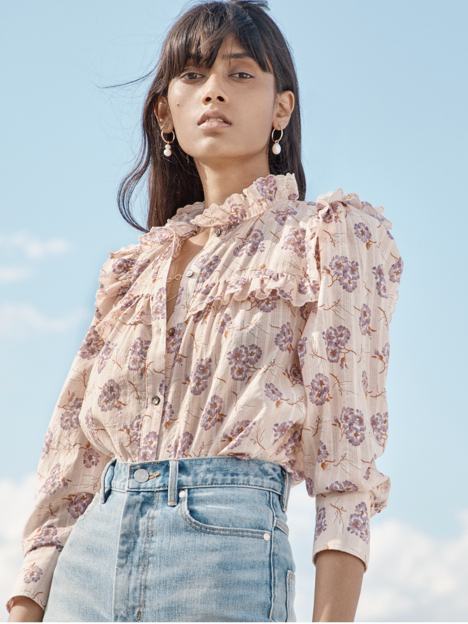 Rendered in a lightweight chiffon, its fluttery sleeves and smocked neckline add a touch of femininity to your party-ready style.